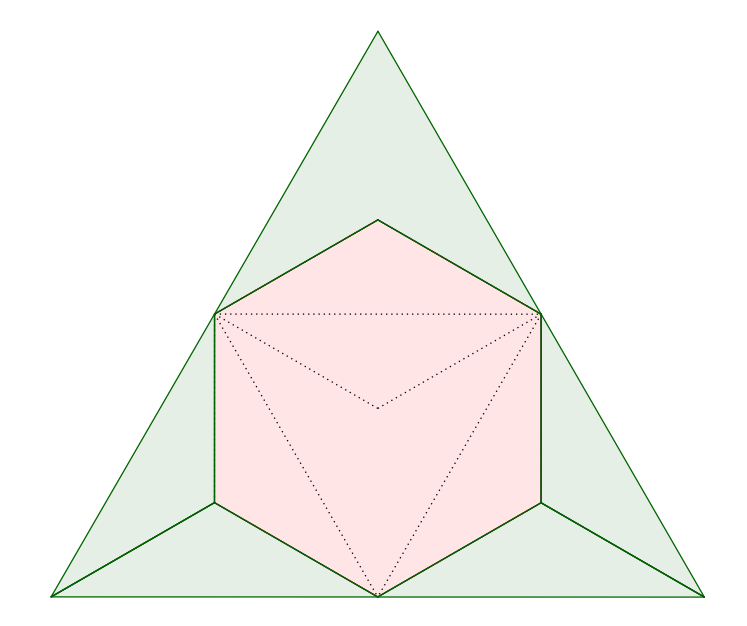 Given two congruent regular hexagons, we should partition them into a total of $n$ pieces. What is the smallest value of $n$ so that the $n$ pieces together can be formed into an equilateral triangle? If we start with only one hexagon, it is possible to use five pieces. 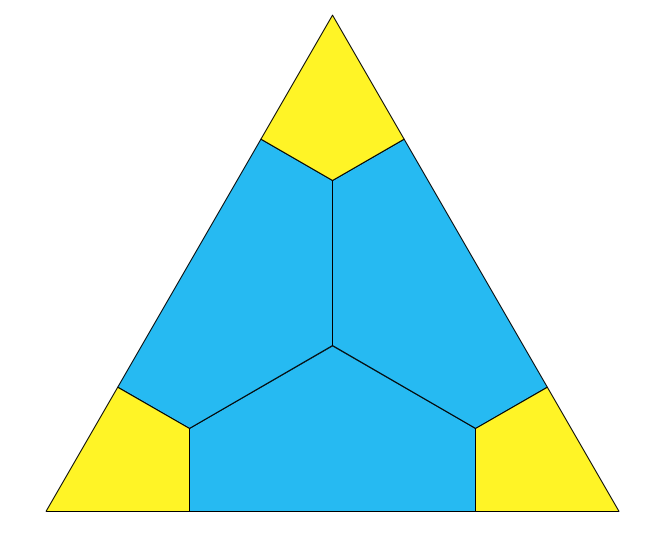 But we can't combine an equilateral triangle and a hexagon, or two equilateral triangles together. In addition, from a regular hexagon we can make two equilateral triangles by cutting segments $AC,CE,EA$ if the hexagon is $ABCDEF$. Here is another six piece dissection. Like @Aretino, I cannot prove 6 is the least number of pieces needed for such a construction. Not the answer you're looking for? Browse other questions tagged geometry recreational-mathematics puzzle or ask your own question. How do you divide a regular hexagon into 5 equal parts? Can higher dimensional spheres be regularly partitioned/discretized?